Über das für Schüler, Geschäftsleute und alle, die einen leistbaren Laptop für Produktivität suchen gemachte Gerät schreibt ComputerShopper: „The first generation of the Lenovo ThinkPad 13 debuted in 2016 as an affordable 13-inch ultrabook with much of the traditional ThinkPad DNA, but without the traditional high price”. Die zweite Generation der ThinkPad 13 Serie, die Lenovo im Jahre 2017 auf den Markt gebracht hat, verspricht besser und leistungsstärker als sein Vorgänger zu sein und stellt die meisten User zufrieden. Sie wurde mit Intel Core Prozessoren der siebten Generation aktualisiert. Daneben bringt sie neue Features wie Touchscreen, Tastatur mit Hintergrundlicht und USB-Type-C-Anschlüsse. Dieses Ultrabook kann als perfekter Alltagslaptop für viele Zwecke erachtet werden. Lenovo lässt Kunden beim ThinkPad 13 zwischen zwei Optionen wählen: 1.366 x 768 oder 1.920 x 1.080 Pixel. Laut ComputerShopper bringt das Aufrüsten auf das optionale 1080p-Panel Unterstützung von 10-Punkt-Toucheingaben, Full-HD-Auflösung und IPS-Technologie. In den Tests von LaptopMag lieferte das optionale 1.920 x 1.080 Touchpanel des ThinkPad 13 scharfe Bilder mit genauen, jedoch nicht übertrieben gesättigten Farben. Zudem bewertet NotebookCheck: „With an average brightness of 307 cd/m2, Lenovo ThinkPad 13 (2017) takes the third place, beside Asus Zenbook UX310UA (347 cd/m2) and Dell’s XPS 13 9360 (325 cd/m2)”. NotebookReview erachtet den Bildschirm des Lenovo ThinkPad 13 als mehr als zufriedenstellend, jedoch nicht unbedingt ideal für Medien-Konsum, denn die Farbgenauigkeit ist zwar solide, doch die Sättigung ist etwas gedämpft und die Helligkeit ist mit 243 cd/m² etwas matt. Dagegen sieht LaptopMag die Situation aus einer anderen Perspektive. Der Bildschirm wäre, es sei denn man würde eine pechschwarze Szene betrachten, hell genug und die Farben würden auch bei seitlichen Blickwinkeln von 90 Grad nicht verblassen: „Through most touch screens have glossy panels that reflect a lot of light, the ThinkPad 13’s panel is completely matte”. Laut Bewertung von NotebookReview sollte der Bildschirm des Lenovo ThinkPad 13 unter normalen Bedingungen gut genug sein, doch an einem sonnigen Tag sollte man sich keine perfekte Lesbarkeit im Freien erwarten. ComputerShopper schreibt über den Sound des ThinkPad 13 (2017): „The down-firing stereo speakers also do a credible job of delivering enough volume to share around a table, if the machine is placed on a solid surface”. Gleicher Meinung bemerkt der Tester von LaptopMag positiv, dass die beiden, nach vorne gerichteten Lautsprecher des ThinkPad 13 eine überraschend gute Audio-Ausgabe liefern, die für laut genug ist, um einem Raum mittlerer Größe zu füllen. Schließlich schreibt NotebookCheck: „The sound could muffle audibly on soft surfaces. A hint of stereo can be perceived thanks to their positioning. Overall, the sound of both speakers is quite decent and much better than some older ThinkPads”. 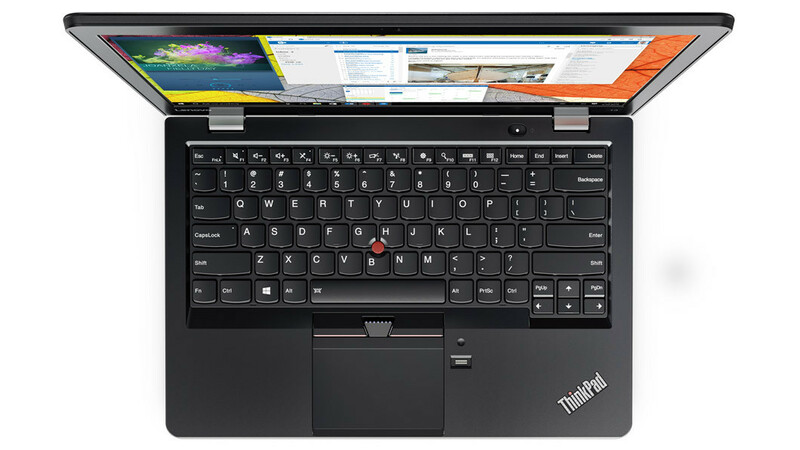 Laut ComputerShopper ist die Isolationstastatur voller Größe des ThinkPad 13 die beste seiner Klasse: „The slightly cupped keytops make it easy to slide from one key to the next to hit your marks, and the pressure required to tap a key is spot on”. LaptopMag behauptet im Besonderen, dass das die Tastatur ohne Hintergrundlicht des ThinkPad 13 mit einem langen Hubweg von 2 mm und 63 g Kraftaufwand eines der knackigsten und spürbarsten Feedbacks liefert, die der Tester je erlebt hätte. GottaBeMobile berichtet, dass die Tasten dank größerer Bauhöhe einen längeren Hubweg aufweisen. Die Tastatur wäre dennoch angenehm, könne sich, wenn man daran nicht gewohnt wäre, jedoch etwas schwammig anfühlen. Computershopper berichtet: „The new touchpad is also pretty darn good. Granted, it’s on the small side compared to the pad on other laptops these days; that’s the trade-off required to accommodate the TrackPoint’s dedicated buttons. But the pad’s low-friction surface is very responsive”. Ebenso kommentiert NotebookReview, dass sich das mäßig große Touchpad großartig nutzen ließe: Der reibungslose, flüssige Hub ermöglicht eine ausgezeichnete Steuerung und Kontrolle. Zudem fügt die Seite hinzu, dass das Pad mit den ELAN-Treibern erstklassige Leistung liefert, denn Swipes, Clicks und Multi-Touch-Gesten funktionieren problemlos. Zudem ist das 5,33 x 8,89 cm (2,1 x 3,5 Zoll) große Touchpad laut LaptopMag extrem genau: „Using Microsoft’s Precision Touchpad driver, the pad handled with Window 10 gestures such as pinch-to-zoom, three finger swipe and four finger tap flawlessly”. Dagegen berichtet der Tester von GottaBeMobile, dass Touchpad und Trackpoint so solide wären wie üblicherweise in anderen ThinkPads: „I did find myself adjusting the sensitivity of the trackpad. Its default setting didn’t feel that responsive to me”. Das Lenovo ThinkPad 13-20GKS01100 ist ein Einstiegslaptop für grundlegende Alltagsaufgaben. Es verfügt über einen Intel Dual Core i5-6200U 2,8 GHz 3 MB Cache CPU, 8 GB DDR3L-1600 RAM, eine 256 GB M.2 SSD und eine Intel HD 520 Graphics. Da es sich um ein ThinkPad handelt, verfügt es auch über einen TrackPoint, ein besonders Features der ThinkPad Familie. Sein matter 13,3-Zoll-IPS-Bildschirm löst in FHD (1920 x 1080 Pixel) auf. 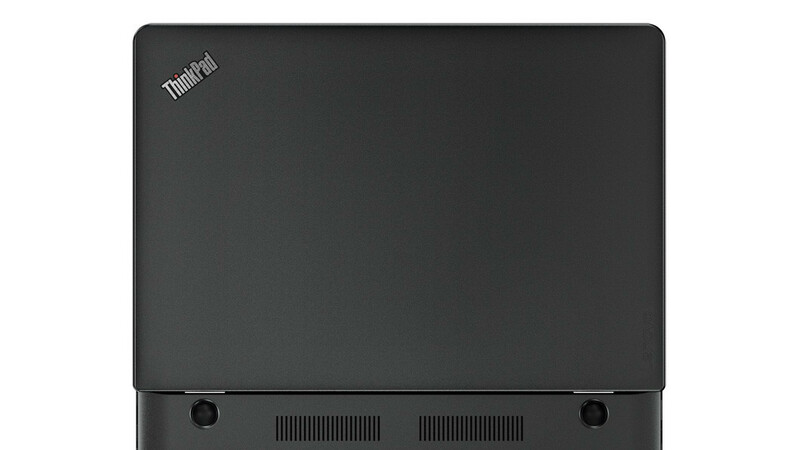 Das Lenovo ThinkPad 13-20GKS01100 misst 32,24 x 22,28 x 1,98 cm (Breite x Tiefe x Höhe) und wiegt 1,44 kg. Windows 10 Home Premium 64 bit ist vorinstalliert. Daher ist es nicht nötig, ein Betriebssystem extra zu kaufen. Die Ausstattung umfasst einen Intel Dual Band Wireless AC 8260 Kombi-Adapter für WiFi und Bluetooth 4.2, 3 USB-3.0-Ports, einen USB-Type-C-Port, einen HDMI-Port, einen Mikrofon-Kopfhörer-Kombi-Port und einen 4-in-1-Kartenleser für MMC, SD, SDHC und SDXC Speicherkarten. 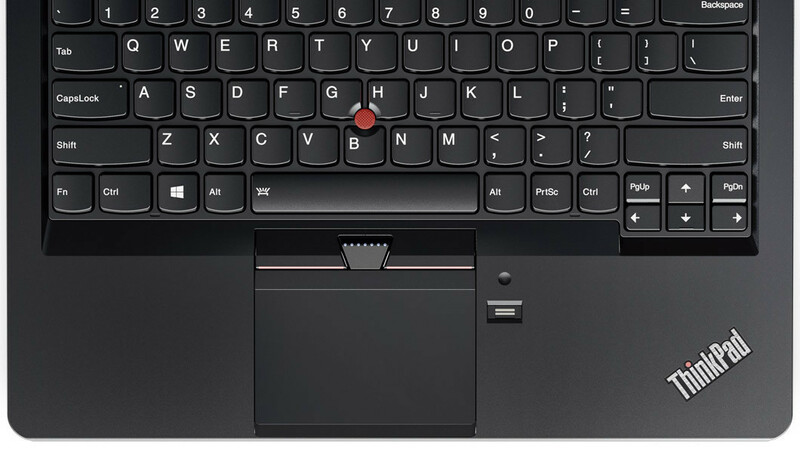 Das ideale Einsteiger ThinkPad? Mit dem neuen ThinkPad 13 möchte Lenovo vor allem den Bildungsbereich ansprechen. Das Ultrabook soll ein kompaktes Gehäuse mit den bekannten ThinkPad Qualitäten bieten, gleichzeitig aber deutlich günstiger sein als die bekannten Business-Baureihen. Funktioniert das, oder wurde an den falschen Ecken gespart? While you won't be able to pick this specific model up right now, we're told that refreshed ThinkPad 13s with Intel's Kaby Lake CPUs are only a few weeks from hitting our shores. You can expect the price range to be from Rs. 62,000 to Rs. 75,000, depending on the configuration you select. The best part is that the refreshed units will have backlit keyboards, something we sorely missed here. There should be variants with touchscreens too, so it's definitely worth waiting a little while. The Thinkpad 13 is a very practical laptop, which has been designed to be an everyday ultrabook and it serves this purpose well. However, it’s for those who want the Thinkpad brand only. If not, the Asus Zenbook Flip offers better value for your money. With long battery life, a sharp screen and an awesome keyboard, the ThinkPad 13 is a productivity powerhouse with an affordable price. 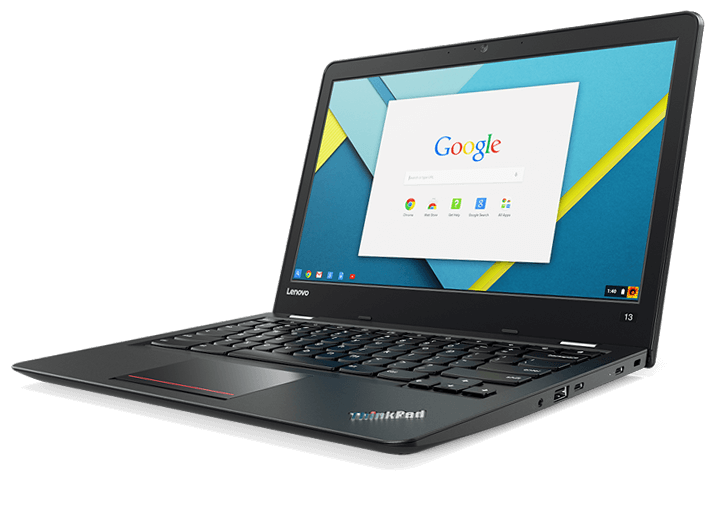 The ThinkPad 13 is a light, portable Chromebook with an excellent keyboard and a battery that lasts throughout the workday. Its big weakness is its screen, which simply isn't vivid. If you're looking for a better display and don't need the business features, go for the Dell Chromebook 13 (starting at $429), which also has even more endurance than Lenovo's offering, with battery life over 13 hours long. 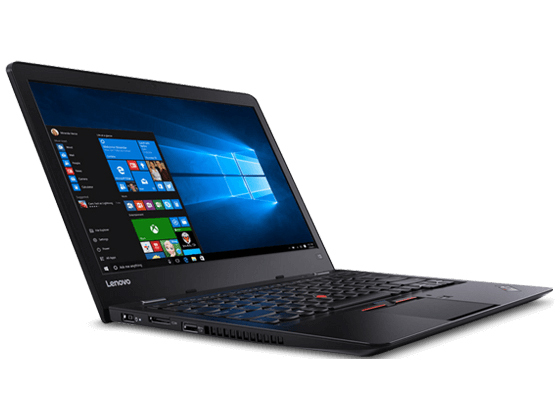 If you're looking for a relatively inexpensive laptop that's capable of lasting the four years of a college education or a similar amount of time to write off the costs on the tax forms for your business, the Lenovo ThinkPad 13 should be at the top of your list. It's capable of surviving military-grade testing, has a speedy processor for doing real work and forward-looking technology including USB-C, and comes with Windows 10 Pro—and does it all for less than $550. The base build of the ThinkPad 13 comes with Winddows 10 Home edition, but if you want the remote-desktop and other abilities of Win 10 Pro (including the ability to revert back to Windows 7), that upgrade is just $30. Beyond the OS and Lenovo’s helpful ThinkPad utilities, pre-installed software is nil—which we like, especially in a PC likely destined for business use. A travel-friendly, tough business laptop, the Lenovo ThinkPad 13 delivers essentials for work or school. Budget laptops get no glory and ones made for business, even less so. But, they're the ones a lot of us buy for day-to-day tasks at the office, at home or at school, so when a good one comes around, you know it because it stands out from the crowd. In terms of performance, the base model of the ThinkPad 13 will get enterprise users where they need to go, so long as their line of work doesn’t involve particularly heavy lifting (e.g. graphics or video editing). And while that may not sound like a ringing endorsement, that’s about as much as you can expect to get out of a machine that’s priced relatively modestly on Lenovo’s website at $611.10 MSRP. At that price, there’s a little bit of room to make an upgrade or two where you think you might need it. There’s a lot to like about the ThinkPad 13. The form factor manages to be simultaneously lightweight and sturdy, the input devices are top-tier, and the battery life is great. The ThinkPad 13 proves you can buy a good laptop for around $600. You can customize things a little, of course. If you want better performance, $150 upgrades it to an Intel Core i5-6300U processor. The ThinkPad 13 has several key advantages that, taken by themselves, would make it an extremely compelling choice. Some would buy the laptop because it has a full-HD screen, an SSD and solid performance, all for just over $600 -- a bargain even when compared to consumer-market laptops. Lenovo Thinkpad 13 – Действуй Уже Сегодня! Positive: Decent hardware; good IPS display; equipped SSD. The Lenovo ThinkPad 13 isn’t going to turn any heads, but it’s a fine budget laptop for simple needs and features a solid keyboard. If you’re in the market for a ThinkPad but you can’t drop several hundred on one of the higher-end models, Lenovo has a great compromise in the ThinkPad 13. While you’re not getting the thinnest ultrabook out there nor a bright 4K display, you will enjoy a combination of long battery life, multiple hardware options, a touchscreen, many ports (including USB-C), and a comfortable keyboard. If all that sounds perfect, you can pick up the ThinkPad 13 (2017) from Lenovo’s website starting at $439 USD. The Lenovo ThinkPad 13 is well put together machine, but it isn’t about flash. There isn’t much to differentiate the ThinkPad 13 from other ultrabooks on the market when it comes design. In fact, the device is thicker than many of them. But it is still relatively lightweight at just over 3 pounds and the MIL-STD tests ensure that the device will hold up to the wears and tears of the road. Add in the excellent keyboard and touchpad, with reliable performance, along with acceptable price tag and you have a very attractive productivity notebook. 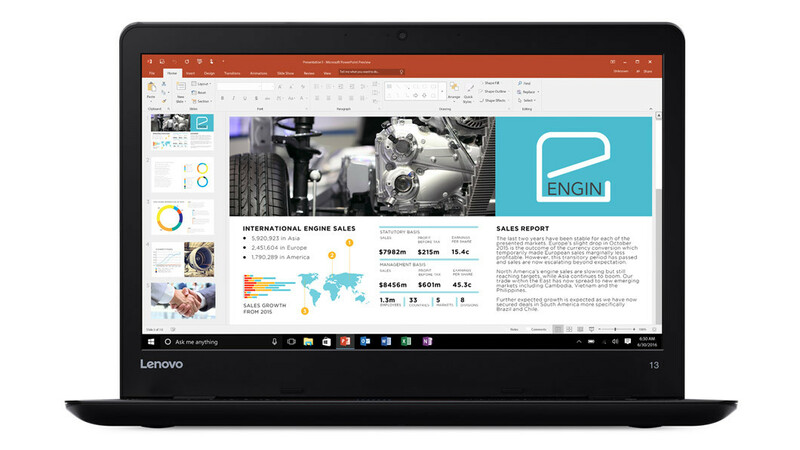 The ThinkPad 13 ships with Windows 10 Home by default, or you can step up to Windows 10 Pro for $30 more. All models come with what Microsoft calls "Windows 10 Signature Edition," a clean build of Windows with no trialware, third-party anti-virus packages, unwanted toolbars, or other utilities. This helps speed boot time out of the box, and it also makes it easier for IT departments tasked with rolling out laptops to end users. The ThinkPad 13 is backed by a one-year parts-and-labor warranty, with carry-in or depot service. The ThinkPad 13 2017 is the only evidence needed to show that keeping things the same is sometimes prudent. It offers great battery and solid options. It’s not the thinnest notebook ever, but it’ll act as a companion for any office worker just fine. It’s future-proofed enough to enable new ways to work when you’re ready for the latest docks and ports. The Lenovo ThinkPad 13 is a prime choice if you're looking for a stylish, yet understated laptop for your startup, small business, or home office. It's comfortable to type on all day, it's durable, it has exemplary battery life, and at less than $750, it won't break the bank. It costs a couple of hundred dollars more than its previous iteration, but that price bump is justified by the addition of a fingerprint reader and a faster processor. If you need a convertible screen, the Dell Latitude 13 3000 Series 2-in-1 (3379) is a worthy alternative, though its battery life and keyboard comfort aren't as good. 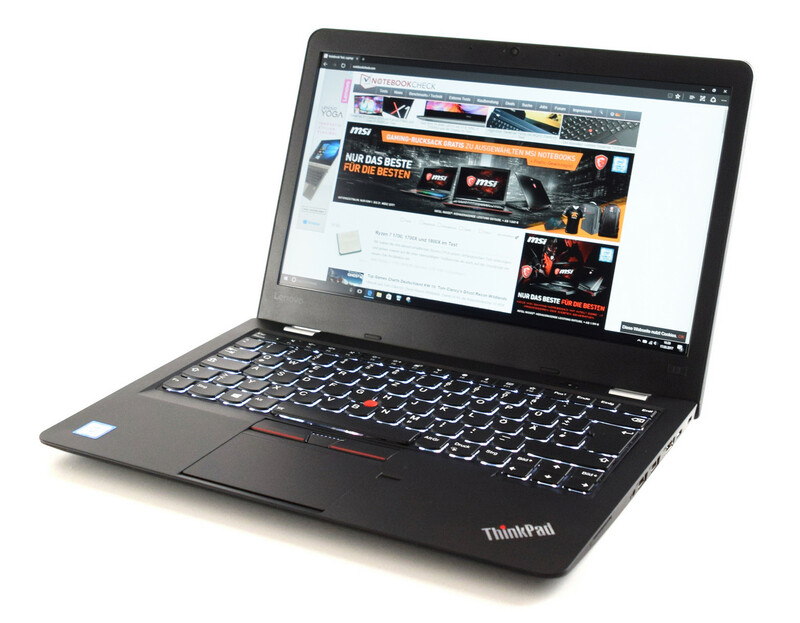 As such, the latest Lenovo ThinkPad 13 easily earns our Editors' Choice for small business laptops. Overall, the ThinkPad 13 offers a great mix of portability, comfort and endurance. Just make sure you buy it with the high-res screen and Core i5 CPU. Positive: Compact size; excellent ergonomy; rich set of ports. Negative: Poor display; short battery life. Positive: Great built quality; pleasant ergonomy; nice display; high performance; long battery life. Negative: Thick frames; mediocre design. 78.21%: Weltbewegend ist diese Bewertung nicht. Obwohl es bei den meisten Websites einem "Befriedigend" entspricht, muss man bedenken, dass es kaum Notebooks gibt, die unter 60% erhalten. Verbalbewertungen in diesem Bereich klingen oft nicht schlecht, sind aber oft verklausulierte Euphemismen. Dieses Notebook wird von den Testern eigentlich als unterdurchschnittlich angesehen, eine Kaufempfehlung kann man nur mit viel Wohlwollen darin sehen. » Lesen Sie auch unsere Notebook-Kaufberatung.